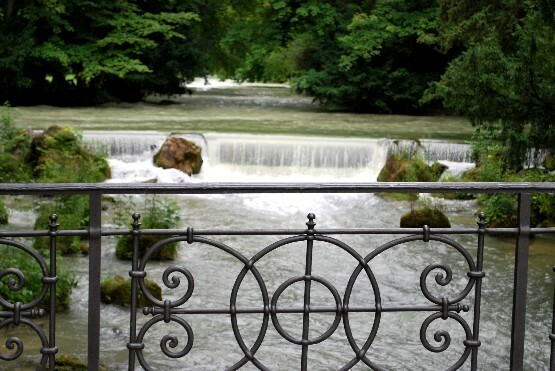 The English Garden in Munich is a huge, 900 acre park which combines formal areas and open parkland. Dotted around are notable features and attractions but it’s the park itself and the many places you can walk or cycle which are the joy of being here. 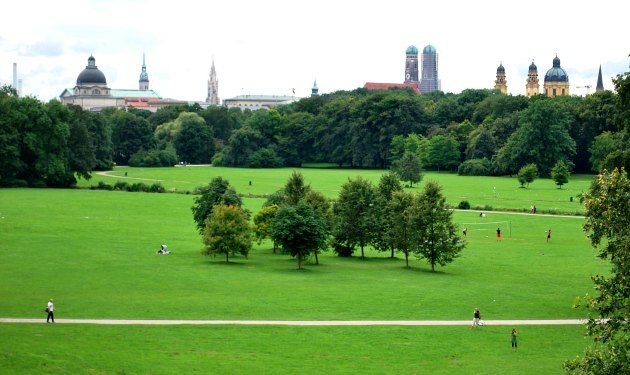 The park stretches right from the city centre to the outer limits of Munich and the more formal parts with footpaths, lakes, flowerbeds and garden buildings are nearest to the city centre itself. 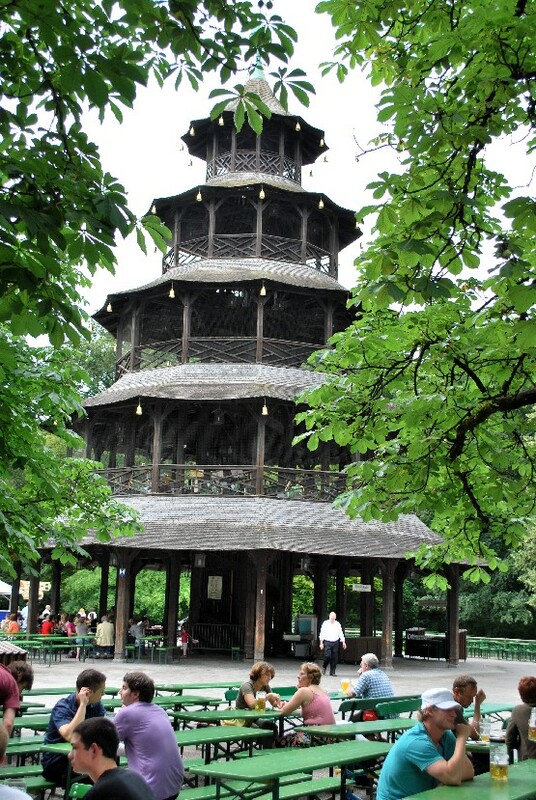 One of the centrepieces is the huge beer garden surrounding the Chinese Tower (Chinesischer Turm) pictured above, where a traditional Bavarian band plays background music in the summer months. Order a litre of beer, sit back and relax, then when you’ve finished you can keep the glass as a souvenir rather than claim the deposit back! The English Garden has an area of 3.7 Kilometers (1.4 Miles) and is larger than Central Park in New York. It’s been serving the people of Munich since 1792. Further developments and features were added in subsequent years like the artificial waterfall in 1815, the Monopteros in 1832 and much more recently, the Japanese Tea House in 1972 (the year of the Munich Olympics). The English Garden stretches from Prinzregentenstrasse in the city centre, past the Mittlerer Ring Road to the Fohringer Ring Road. See the map below.